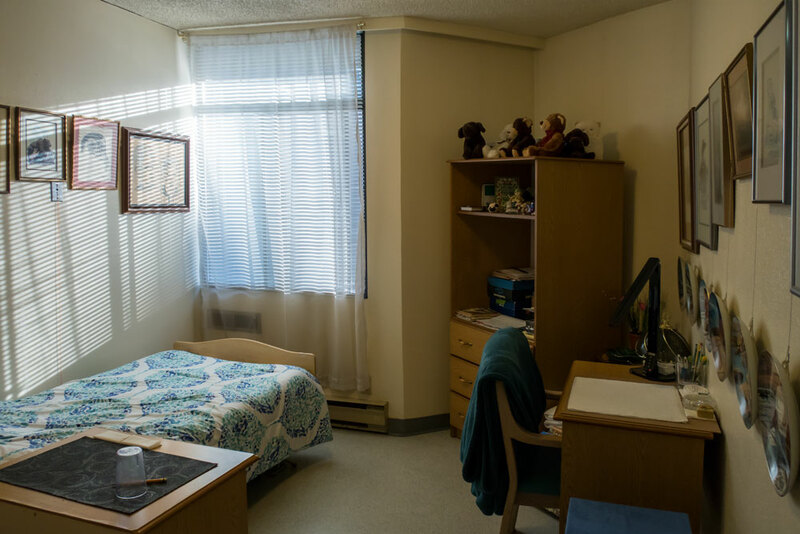 Every resident of Broadway Lodge is provided a private room. There are several different configurations of rooms based on architectural design, although the rooms are assigned based on availability and need (such as the need for a ceiling lift for safety and comfort). Each room is wheelchair accessible and fully furnished with a bed, armoire, bedside table with locked drawer. A desk is available, if needed. While the basic furnishings are provided, we encourage families to bring pictures, wall decorations, a special blanket, a small chair to make the individual’s room a home. Our maintenance staff must check electronics, such as radios or television, to ensure proper functioning before installation in the room. CSA approval is required.